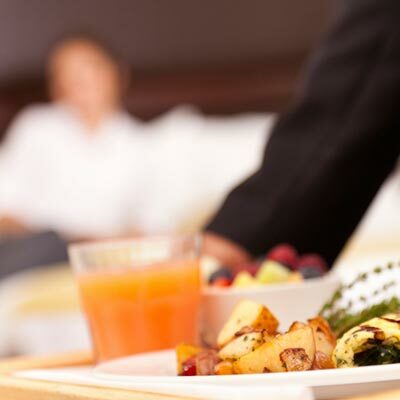 The hospitality industry is one of the major contributors to the economy of Australia. The direct contribution of Travel & Tourism to the country’s GDP is expected to grow from 2.8% (in 2011) to 4.2% per annum by the year 2022. This sector is providing around 3.3% of the total employment opportunities, which is expected to rise by 1.9% per annum in the coming years. All this shows that there are many opportunities awaiting a person wishing to make a career in Hotel Management in Australia. A land endowed with beautiful beaches, picturesque locations, and pleasant weather, Australia is a favoured world tourist destination. It is also an ideal place to learn hotel management and other hospitality courses. The country boasts of some of the top institutions offering hotel management courses at affordable rates. Of these, BMIHMS is Australia’s leading hotel school exclusively for hospitality education. There are four academic intakes every year, which offer the students an option to start their course at a time of their preference. Hotel Management as a profession offers a wide variety of career options. Hotel Management is about not only chefs, bartenders, waiters and kitchen hands. It is also not limited to jobs in hotels. There are numerous opportunities in various industries for a hotel management graduate although the bulk of the opportunities lie in the hospitality sector. Evidently, hotel management as a career offer wide choices and it is up to the individual to make the most out of these opportunities. The hospitality industry is one of the fastest growing industries of the world and it is likely to remain so for a long time. It is estimated that this industry would represent 10% of total global employment. It means that the opportunities available to a hotel management aspirant are aplenty. For instance, the top ten leading hotel groups like Inter Continental, Marriott, Hilton, Hyatt and Starwood have added around 770,000 rooms to their total inventory since 2010. They are expected to add even more rooms and facilities, thereby opening up a plethora of career opportunities in hotel management. Most international brands have a presence in Australia. Hence, they, along with the boutique hotels, event management companies, and other such businesses, make hotel management an attractive career option in Australia. Moreover, Australia is one of the preferred tourist destinations of the world, which has opened up even more opportunities in the hospitality sector. Therefore, a person looking for a career in hotel management can take heart from the fact that there is no dearth of opportunities in this field.